Nicholas Wright argues in the latest edition of Foreign Affairs that digital authoritarianism is a profound threat to liberal democracy. The possibilities are chilling. Just as Facebook can spot whether you’ll like a particular type of advertising based on a million pieces of information it has on you, so governments will be able to identify which of us will be troublemakers based on knowledge of the books we read and the friends we have. 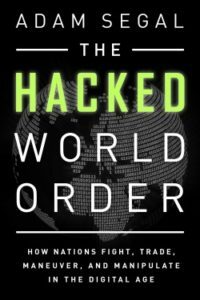 Three papers, published between March and November last year, were co-written by academics at Microsoft Research Asia in Beijing and researchers with affiliations to China’s National University of Defense Technology, which is controlled by China’s top military body, the Central Military Commission. One of the papers described a new AI method to recreate detailed environmental maps by analysing human faces, which experts say could have clear applications for surveillance and censorship. 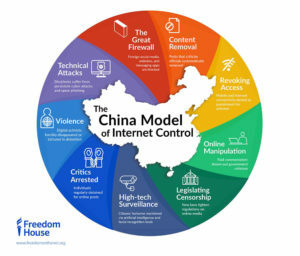 The papers raised “red flags because of the nature of the technology, the author affiliations, combined with what we know about how this technology is being deployed in China right now,” said Samm Sacks, a senior fellow at the think-tank New America and a China tech policy expert. “The [Chinese] government is using these technologies to build surveillance systems and to detain minorities [in Xinjiang],” she added. More than a million Muslims have been arbitrarily detained in China’s Xinjiang Province. The reeducation camps are just one part of the government’s crackdown on Uighurs, according to Council on Foreign Relations analyst Lindsay Maizland. Mark your calendars: on April 24, @NDItech will launch @DemTools 3. 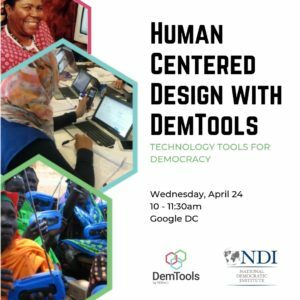 RSVP now to see how #DT3 products leverage human centered design to engage citizens and empower democracies. 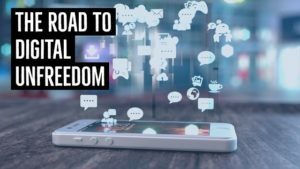 Do online platforms offer a way to revitalize political parties and by extension democracy? Or can it be argued that online participation as a tool can be exclusive and reinforce political divisions that already exist beyond the internet? London-based think tank Chatham House asks. This symposium examines what steps governments can take to protect and promote democracy at home and abroad.